Acupuncture is a natural, drug-free and non-invasive treatment method with no or little side effects that promotes the body’s ability to heal itself. It enhances immunity, supports physical and emotional health, and improves the body’s overall functioning and well-being. 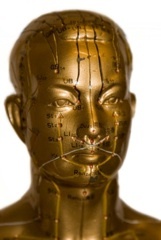 Acupuncture is the insertion of fine needles into various points of the body. Energy (Qi) flows throughout our body on specific pathways called meridians (similar to the flow of blood through blood vessels). When the flow is too weak or blocked, we experience illness or pain. Acupuncture unblocks stuck energy and allows a smooth flow, thus eliminating pain and restoring balance and harmony. For further information about what to expect from an acupuncture treatment please view the Wall Street Journal video on acupuncture.